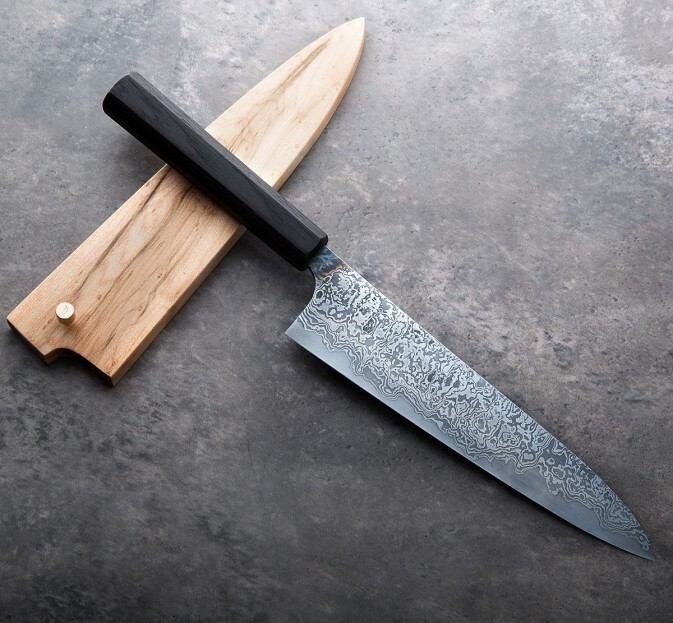 This is a light, thin laser of a gyuto handcrafted by Robert Trimarchi of the.nine, a talented maker and blacksmith based in Melbourne, Australia. 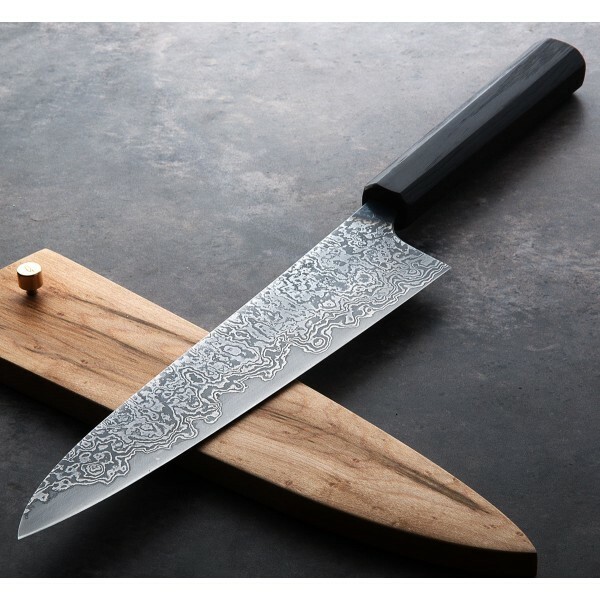 With a 52100 core and housemade damascus cladding in 1095 and 15n20, the blade has just the right amount of flex with a spine width of 1.5mm at the middle and an overall weight of just 4oz / 114g. The bog oak wa-style handle tapers nicely with contouring at the front and back, the knife balancing just in front of it at the heel. 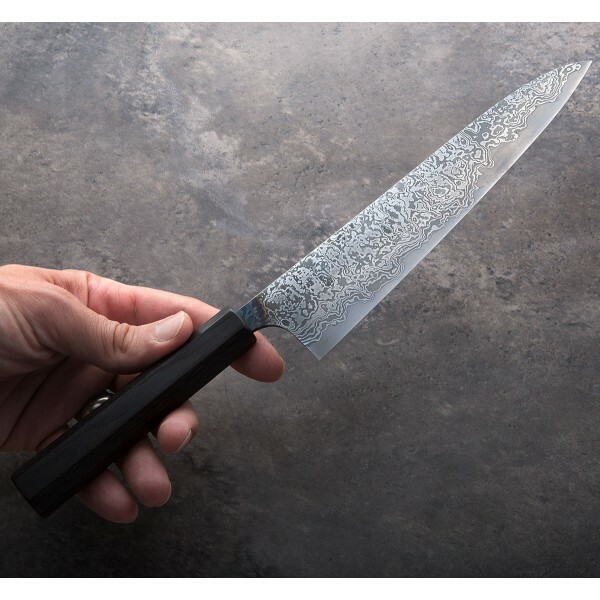 A fantastic daily-use chef knife with a gently rocking profile in a size that you won't find many reasons to set aside no matter the task. A handmade maple saya with turned bronze pin is included, as are blade oil and handle paste like all of Robert's knives. Robert Trimarchi's recognizable style spans a variety of profiles and models, most inspired by Eastern design, with a focus on tightly controlled normalization and heat treatment cycles and uncompromising geometry and attention to detail. 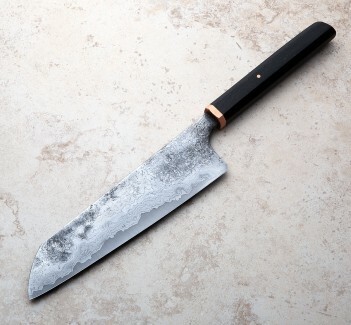 His homemade san mai and damascus and use of reclaimed materials like bog oak and up-cycled steel combine to create unique, one-of-a-kind knives that are made for everyday chefs and look as beautiful as they feel in the hand. Blade length: 192mm / 7.55".  Overall length: 12" overall. Blade width at heel: 2.6mm. Blade width at the blade's center: 1.5mm. Blade height at heel: 44mm. Weight: 4oz / 114g. 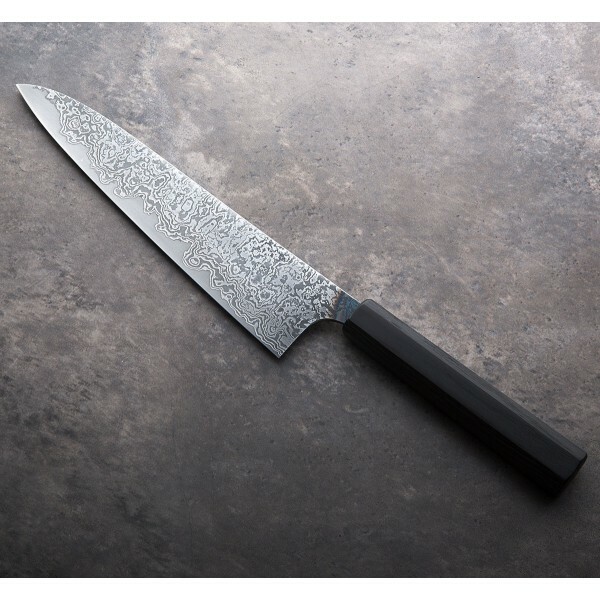 Blade: House-made san mai with a 52100 carbon steel core and damascus cladding of 1095 and 15N20. Handle: Carved octagonal bog oak. 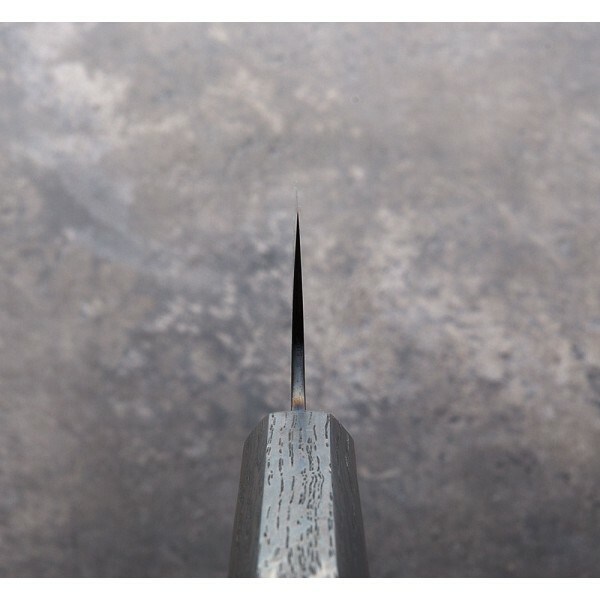 Saya: Maples with turned bronze pin.